I think this was the last volume production dial phone made by the "Bell System". The 2500 was the Touch Tone version of this phone. The REN "Ring Equivalence Number" is based on the mechanical ringer in the 500. This phone does not use any electronics and does not need any local batteries so will work when the A.C. mains power fails. It has a pleasent ring. The downside is that most businesses you call these days have voice mail systems that need Touch Tones for the menu choices. I tried a Skutch AS-4 Telephone Line Simulator, but it will not ring the bell. It's using the 60 Hz power line for the ring signal which will NOT ring a real mechanical bell, but will activate the ringer on modern phones that don't use a mechanical bell. Loosen the two captive screws and lift the upper case completly off of the base. The handset can be placed upside down on the hook switch arms to hold them down. The LOUD adjustment wheel can be seen. On this particular phone the tab has been bent back allowing the LOUD control to be moved one notch closer in the quiet direction. This was one way to turn off the bell. But when this is done the phone still shows up on the line as a capacitor when a serviceman uses a KS-8455L2 Line Loop Tester. 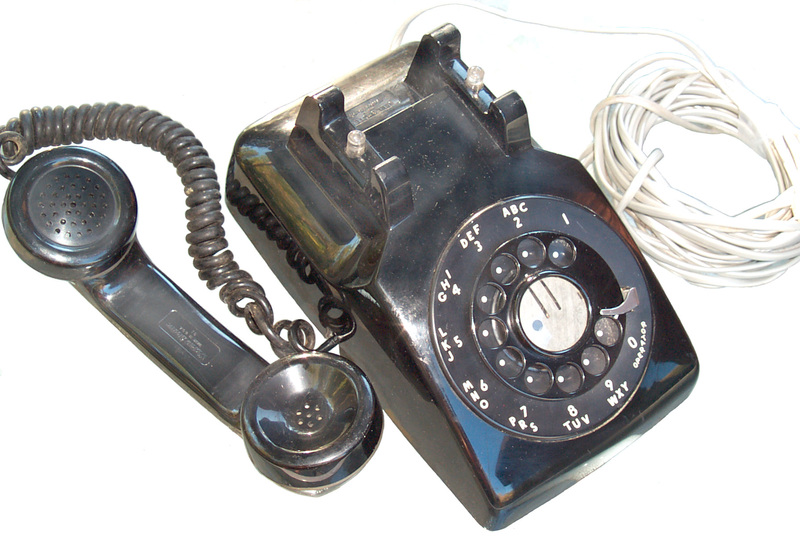 The phone also is drawing ring power and if there are a number of phones on one line may be adding too much of a load so the common thing to do is to disconnect the wires from the bell. When there was a Bell System you were not allowed to own a phone or connect anything to the line. I was breaking the law to connect an unauthorized phone to your line, sort of like having moon shine when liquor was against the law. Made using HP 4395A Network Analyzer in Z Transformation mode with custom test fixture to allow DC bias for the 425E network in the phone. When Touch Tone service became available you had to order a Touch Tone phone from "the phone company". If you somehow got a 2500 phone and plugged it in using the 4 pin plug, it would not work. This is because the early 2500 phones were polarity sensitive and all phone connections were of the standard polarity. To enable the TT phone all that was required was to reverse the entrance pair polarity, then your whole house would work with TT phones. So today if you are connecting one of these polarity sensitive phones and you can answer calls, but the TT dial does not work, try reversing the two wires. [an error occurred while processing this directive] This is the time this page has been accessed since 30 Sep 2003.